Prayer For Nigeria In Distress. All powerful and merciful Father, You are the God of Justice, Love and Peace. You rule over all the Nations on earth. Power and Might are in Your hands and No one can withstand You. We present Our country Nigeria before You. We praise and thank You for You are the source of all We have and are. We are sorry for all the sins We have committed and for the good deeds We failed to do. In Your Loving forgiveness, keep Us safe from the punishments We deserve. Lord, We are weighed down not only by uncertainties, but also by moral, economic and political problems. Listen to the cries of your people who confidently turn to you. God of infinite goodness, Our strength in adversity, Our health in weakness, Our comfort in sorrow, Be merciful to Us your people. 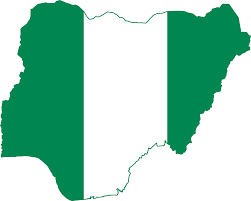 Spare this Nation Nigeria from chaos, anarchy and doom. Bless Us with your kingdom of Justice, Love and Peace. Father in Heaven, you always provide for all your creatures so that all may live as you have willed. You have blessed our country Nigeria with rich human and natural resources to be used to your honour and glory and for the well-being of every Nigeria. We are deeply sorry for the wrong use of these your gifts and blessing through act of injustice, bribery and corruption, as a result of which many of our people are hungry, sick ignorant and defenseless. Either, you alone can heal us and our nation of this sickness. We beg you, touch our lives and the lives of our leaders and people so that we may all realise the evil of bribery and corruption and work hard to eliminate it. Raise up for us God fearing people and leaders who care for us and who will lead us in the part of peace, prosperity and progress. We ask the through Jesus Christ our Lord. Amen. I think these prayers were released by the Catholic Bishops Conference of Nigeria…I learnt them as a child.